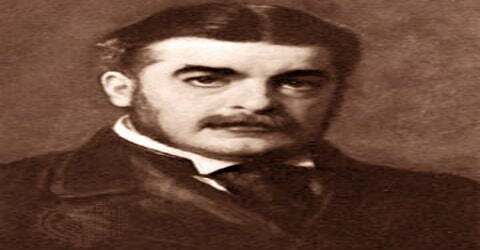 Arthur Sullivan – English composer. An English composer who, with W.S. 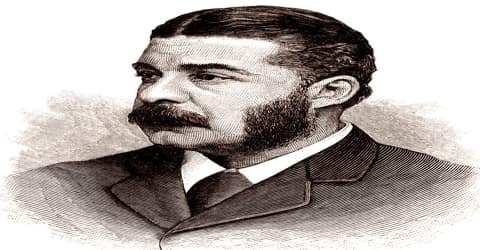 Gilbert, established the distinctive English form of the operetta, Sir Arthur Sullivan was born on May 13, 1842, in Lambeth, London, the younger of the two children, both boys, of Thomas Sullivan and his wife, Mary Clementina née Coghlan. Sullivan is best known for 14 operatic collaborations with the dramatist W. S. Gilbert, including H.M.S. Pinafore, The Pirates of Penzance and The Mikado. His works include 24 operas, 11 major orchestral works, ten choral works and oratorios, two ballets, incidental music to several plays, and numerous church pieces, songs, and piano and chamber pieces. His hymns and songs include “Onward, Christian Soldiers” and “The Lost Chord”. Sullivan showed musical talent from his early childhood, writing his first composition at the age of eight. At twelve, he joined the Chapel Royal as a chorister and received the Mendelssohn scholarship at fourteen, entering the Royal Academy of Music in the same year. After completing his education at the Leipzig Conservatoire at the age of nineteen, he returned to London to begin his career as a church organist and music teacher. In the same year, his graduation piece, ‘The Tempest’, was performed to great acclaim, establishing his reputation as a rising composer. Thereafter, he continued to work independently, earning great fame for his works. At the age of twenty-nine, he first collaborated with W. S. Gilbert, eventually creating fourteen operas with him and establishing a distinctive form of the English operetta. This apart, he also wrote two ballets, a number of choral and orchestral works as well as incidental music to various plays. Sullivan’s infrequent serious pieces during the 1880s included two cantatas, The Martyr of Antioch (1880) and The Golden Legend (1886), his most popular choral work. He also wrote incidental music for West End productions of several Shakespeare plays and held conducting and academic appointments. Sullivan’s only grand opera, Ivanhoe, though initially successful in 1891, has rarely been revived. In his last decade, Sullivan continued to compose comic operas with various librettists and wrote other major and minor works. He died at the age of 58, regarded as Britain’s foremost composer. His comic opera style served as a model for generations of musical theatre composers that followed, and his music is still frequently performed, recorded and pastiched. 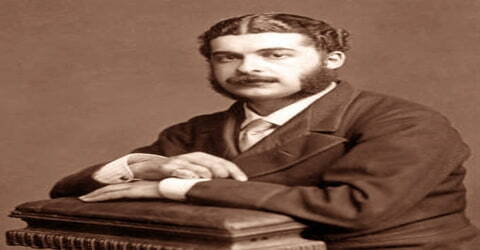 Sir Arthur Sullivan, in full Sir Arthur Seymour Sullivan, was born on 13 May 1842 in Lambeth, London. His father, Thomas Sullivan, a clarinetist, later became the bandmaster at the Royal Military College, Sandhurst. His mother was Mary Clementina née Coghlan. Born the younger of his parents’ two children, he had an elder brother named Fred. While recognizing the boy’s obvious talent, his father knew the insecurity of a musical career and discouraged him from pursuing it. Sullivan studied at a private school in Bayswater. In 1854 he persuaded his parents and the headmaster to allow him to apply for membership in the choir of the Chapel Royal. Despite concerns that, at nearly 12 years of age, Sullivan was too old to give much service as a treble before his voice broke, he was accepted and soon became a soloist. By 1856, he was promoted to “first boy”. Even at this age, his health was delicate, and he was easily fatigued. At 14, Sullivan won the Mendelssohn Scholarship at the Royal Academy, and in 1858 he went to study in Leipzig, where his teachers included Ignaz Moscheles and Julius Rietz. He studied piano with William Sterndale Bennett (the future head of the academy) and Arthur O’Leary. During this first year at the academy, Sullivan continued to sing solos with the Chapel Royal, which provided a small amount of spending money. In 1858, when his scholarship was furthered extended, Sullivan moved to Germany to be trained in the ideas and techniques of Felix Mendelssohn at the Leipzig Conservatoire. He studied there for three years, completing his education in 1861. For his graduation work, he wrote incidental music to ‘The Tempest’. 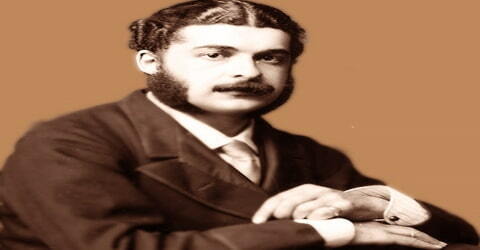 Sir Arthur Sullivan never married, but he had serious love affairs with several women. The first was with Rachel Scott Russell (1845-1882), the daughter of the engineer John Scott Russell. Sullivan was a frequent visitor at the Scott Russell home in the mid-1860s, and by 1865 the affair was in full bloom. Rachel’s parents did not approve of a possible union with a young composer of uncertain financial prospects, but the two continued to see each other covertly. At some point in 1868, Sullivan started a simultaneous (and secret) affair with Rachel’s sister Louise (1841-1878). Both relationships ended by early 1869. His liaison with an American socialite, Mary Frances Ronald, a woman three years his senior, was the most notable. A married woman with two children, she never obtained a divorce from her husband. Sullivan and Mary became romantically involved in the 1870s and maintained a discreet, but close relationship until his death. Around 1889 or 1890 the sexual relationship evidently ended he started to refer to her in his diary as “Auntie” but she remained a constant companion for the rest of his life. In 1896 the 54-year-old Sullivan proposed marriage to the 22-year-old Violet Beddington (1874-1962), but she refused him. 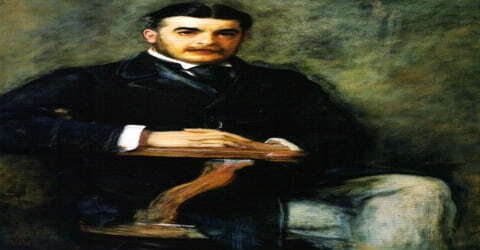 Arthur Sullivan loved to spend time in France (both in Paris and on the Riviera), where his acquaintances included European royalty and where the casinos enabled him to indulge his passion for gambling. He enjoyed hosting private dinners and entertainments at his home, often featuring famous singers and well-known actors. Sullivan was devoted to his parents, particularly his mother. He corresponded regularly with her when away from London, until her death in 1882. He was also very fond of his brother Fred, whose acting career he assisted whenever possible, and of Fred’s children. After Fred died at the age of 39, leaving his pregnant wife, Charlotte, with seven children under the age of 14, Sullivan visited the family often and became guardian to the children. In 1861 Arthur Sullivan became organist of St. Michael’s, London, and in the following year, his music to The Tempest achieved great success at the Crystal Palace. Then followed his Kenilworth cantata (1864); a ballet, L’Île enchantée, produced at Covent Garden (where Sullivan was the organist for a time); a symphony and a cello concerto; the In Memoriam and the Overtura di Ballo overtures; and numerous songs. Although Sullivan was till then an unknown composer and barely twenty years old, Grove was so impressed by the work that he arranged to have it performed at the Crystal Palace. Immediately, Sullivan began revising the work, extending it to twelve movements. Chorley wrote the linking narration. ’The Tempest’ was performed in full at a concert on 5 April 1862 at the Crystal Palace. It was such a huge success that it was repeated in the following week and overnight Sullivan’s reputation as a promising composer was established. Sullivan took an early opportunity to compose several pieces for royalty in connection with the wedding of the Prince of Wales in 1863. With The Masque at Kenilworth (Birmingham Festival, 1864), Sullivan began his association with works for voice and orchestra. While an organist at the Royal Italian Opera, Covent Garden, he composed his first ballet, L’Île Enchantée (1864). His Irish Symphony and Cello Concerto (both 1866) were his only works in their respective genres. In the same year, his Overture in C (In Memoriam), commemorating the recent death of his father, was a commission from the Norwich Festival. It achieved considerable popularity. Sullivan’s first comic opera was his setting of Sir Francis Cowley Burnand’s Cox and Box (1867). An operetta, the Contrabandista, also on a libretto by Burnand, was produced in the same year. Thespis (1871), the first work in which Sullivan collaborated with Gilbert, met with little success when produced at the Gaiety Theatre. It was Richard D’Oyly Carte, then manager of the Royalty Theatre, who brought the two men together again in 1875; the result was Trial by Jury, which was originally put on as an afterpiece to an Offenbach operetta; it won instant popularity and ran for more than a year. Sullivan’s first attempt at opera, The Sapphire Necklace (1863-64) to a libretto by Henry F. Chorley, was not produced and is now lost, except for the overture and two songs that were separately published. His first surviving opera, Cox and Box (1866), was written for a private performance. It then received charity performances in London and Manchester and was later produced at the Gallery of Illustration, where it ran for an extraordinary 264 performances. W. S. Gilbert, writing in Fun magazine, pronounced the score superior to F. C. Burnand’s libretto. Sullivan and Burnand were soon commissioned by Thomas German Reed for a two-act opera, The Contrabandista (1867; revised and expanded as The Chieftain in 1894), but it did not do as well. Among Sullivan’s early part songs is “The Long Day Closes” (1868). Sullivan’s last major work of the 1860s was a short oratorio, The Prodigal Son, first given in Worcester Cathedral as part of the 1869 Three Choirs Festival to much praise. In 1866, Sullivan had four of his well-known works premiered. Among them was ‘Symphony in E’, a work he started in 1863 while touring Ireland. Also known as the ‘Irish Symphony’, it was premiered on March 10, 1866, and well received by the audience, is performed several times during his lifetime. Apart from the ‘Irish Symphony’, two others of his important works also premiered in 1866: ‘Overture in C, In Memoriam’ and ‘Cello Concerto in D major’. Among them, the former was written in memory of his father, who had died in September. Both these works were very well-received by the audience and the critics. Sullivan’s most enduring orchestral work, the Overture di Ballo, was composed for the Birmingham Festival in 1870. The same year, Sullivan first met the poet and dramatist W. S. Gilbert. In 1871 Sullivan published his only song cycle, The Window, to words by Tennyson, and he wrote the first of a series of incidental music scores for productions of Shakespeare plays. He also composed a dramatic cantata, On Shore and Sea, for the opening of the London International Exhibition, and the hymn “Onward, Christian Soldiers”, with words by Sabine Baring-Gould. The Salvation Army adopted the latter as its favored processional, and it became Sullivan’s best-known hymn. 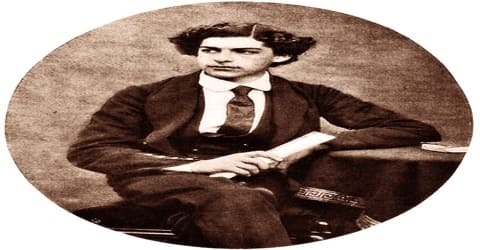 Towards the end of 1871, Arthur Sullivan was commissioned to work on ‘Thespis, or The Gods Grown Old ‘, a burlesque-style comic opera, in collaboration with librettist William Schwenck Gilbert, by John Hollingshead. Although their first venture was quite successful, they separated soon after its completion. After ‘Thespis’, Sullivan continued to produce a number of great works including ‘Festival Te Deum’ (1872) and ‘The Light of the World’ (1873). His incidental music for ‘The Merry Wives of Windsor’ (1874) was also a great hit. In 1875, however, the theater manager Richard D’Oyly Carte reunited the to compose an afterpiece for production of Offenbach’s La Périchole. The result was Trial By Jury, a brief satire of the judicial process, featuring Sullivan’s brother, Fred, in the lead. The afterpiece proved so successful that this time the partnership continued. In 1877, their full-length opera The Sorcerer premiered under Carte’s auspices at the Opera Comique, followed by H.M.S. Pinafore in 1878. ’Sorcerer’ was followed by ‘H.M.S. Pinafore’ (1878) and ‘The Pirates of Penzance’ (1879, New York City; 1880, London), taking their fame to international level. Meanwhile, Sullivan continued to work independently, writing incidental music to plays, choral and orchestral works. During the 1870s, Sullivan received several conducting appointments and a teaching position at the Royal Academy of Music. In 1876, he became the first principal at National Training School for Music but left it in 1881 to concentrate on composing, collaborating with Gilbert on internationally acclaimed operas like ‘The Mikado’ (1885). 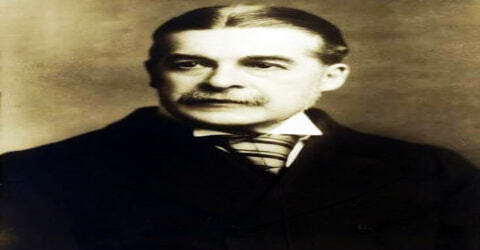 In 1890, the collaboration between Sullivan and Gilbert broke down over a minor business deal concerning Carte. Thereafter, Sullivan continued to work independently, writing ‘Ivanhoe’, his only grand opera, in 1891. It ran for 155 consecutive performances, earning good reviews for its music. In 1892, the collaboration between Sullivan, Gilbert and Carte has resumed once again, leading to the production of ‘Utopia, Limited’ (1893). ’The Grand Duke’, premiered on 7 March 1896 at Savoy Theatre, was their next work, after which the partnership broke down irrevocably. During the run of Patience (1881), Carte moved his company from the Opera Comique to the Savoy; from then on, Gilbert and Sullivan’s operas became collectively known as Savoy Operas. In these operas, Sullivan’s unerring sense of musical parody, with targets ranging from Handel to Verdi, perfectly matched Gilbert’s witty social satire. Sullivan’s more classical compositions included The Prodigal Son (1869), The Light of the World (1873), The Martyr of Antioch (1880), The Golden Legend (1886), and the “romantic opera” Ivanhoe, written for the opening of the Royal English Opera House built by Carte in 1891. They were not maintained in the repertory, though they were acclaimed in their day. He also wrote many hymn tunes, including “Onward! Christian Soldiers,” and his song “The Lost Chord” attained great popularity. In 1876 Sullivan accepted the principalship of the National Training School for Music (later the Royal College of Music), which he held for five years; he was active as a conductor, particularly at the Leeds Festivals from 1880 to 1898. Even before the final dissolution of his collaboration with Gilbert, Sullivan had started working independently, producing ‘Chieftain’ (1894) with Burnand, basing the work on their earlier production, ‘The Contrabandista’. After the dissolution, he started working on a grand ballet, ‘Victoria and Merrie England’ (1897), commemorating Queen Victoria’s sixty years of reign. In 1899, Sullivan set to music ‘Absent Minded Beggar’ by Rudyard Kipling for raising money for the benefit of the soldiers of the Boer’s War and their families. It was an instant hit and raised an unprecedented amount of £300,000 for the cause. Also in 1899, he collaborated with Basil Hood to write his last complete opera, ’Rose of Persia’. Thereafter, they started working on ‘The Emerald Isle’; but Sullivan died before he could complete it. In the last months of his life, he composed another great hit, ’Te Deum Laudamus-A Thanksgiving for Victory’. Sullivan’s tuneful score was well received, and the opera proved to be his most successful full-length collaboration apart from those with Gilbert. Another opera with Hood, The Emerald Isle, quickly went into preparation, but Sullivan died before it was completed. The score was finished by Edward German and produced in 1901. 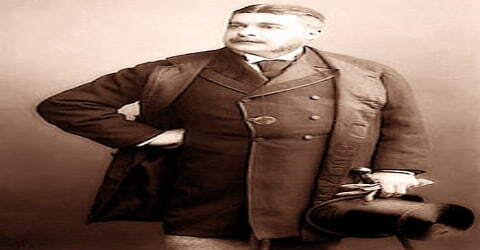 In 1878, Arthur Sullivan was awarded the Légion d’honneur by the French government. On 22 May 1883, he received a knighted from Queen Victoria for his “services … rendered to the promotion of the art of music” in Britain. Sullivan also received Doctor in Music, honoris causa, from the University of Cambridge in 1876 and from the University of Oxford in 1879. In 1897, Sullivan was made a Member of the Fourth Class of the Royal Victorian Order (MVO). Sir Arthur Sullivan’s health was never robust from his thirties his kidney disease often obliged him to conduct sitting down. He died of heart failure, following an attack of bronchitis, at his flat in London on 22 November 1900. His Te Deum Laudamus, written in expectation of victory in the Boer War, was performed posthumously. Although he wished to be buried with his parents in Brompton Cemetery, he was buried in St. Paul’s Cathedral by order of the queen. Among Sullivan’s collaborations with Gilbert, ‘The Mikado; or, The Town of Titipu’ is perhaps the most famous. Premiered on 14 March 1885 at the Savoy Theatre, this comic opera ran for 672 performances, and by the year end, it was being performed by at least 150 companies throughout Europe and America. Among his serious works, ‘The Golden Legend’ is considered the greatest and most successful. The cantata, based on Henry Wadsworth Longfellow’s poem of the same name, was premiered in October 1886. Soon it began to be performed so frequently that he was compelled to declare a moratorium on its performance. Sullivan’s operas have often been adapted, first in the 19th century as dance pieces and in foreign adaptations of the operas themselves. Since then, his music has been made into ballets (Pineapple Poll (1951) and Pirates of Penzance – The Ballet! (1991)) and musicals (The Swing Mikado (1938), The Hot Mikado (1939) and Hot Mikado (1986), Hollywood Pinafore and Memphis Bound (both 1945), The Black Mikado (1975), etc.). His operas are frequently performed, and also parodied, pastiched, quoted and imitated in comedy routines, advertising, law, film, television, and other popular media. He has been portrayed on screen in The Story of Gilbert and Sullivan (1953) and Topsy-Turvy (2000). He is celebrated not only for writing the Savoy operas and his other works but also for his influence on the development of modern American and British musical theatre. His most popular hymn was ‘Onward, Christian Soldiers’. The words were written by Sabine Baring-Gould in 1865 as a processional hymn, but it did not gain in popularity until Sullivan composed and set it to tune in 1871. Later, it was adopted by the Salvation Army as their favored processional tune.